Arkansas treasure hunt! Sounds like fun road trip activities, right? Learn the history of treasure hunting in Arkansas, and all about how to diamond mine in Arkansas. Treasures are all around us in many unexpected shapes and forms. Though many states contain a variety of riches and treasures, perhaps the most unexpected treasure lies in Arkansas. No Arkansas treasure experience would be complete without a visit to the crater of diamonds State Park, the location of the only diamond mine in Arkansas. In fact, this location for an Arkansas treasure and is the only diamond mine in Arkansas, and, for that matter, the entire world, that allows visitors to not only search for diamonds, but to keep and take home any diamonds they find during their visit. A great stop to add to your road trip activities. This Murfreesboro, Arkansas park is a 37 acre field that once experienced volcanic activity. The first finds at this diamond mine in Arkansas were discovered in 1906 by John Huddleston, a farmer who pulled two shiny rocks from the ground, hoping that he had discovered gold. Eventually, the rocks were proven to be a white diamond and a yellow diamond. By 1952, the diamond mine in Arkansas was under new ownership, and open to the public so that anyone interested in an Arizona treasure hunt could try their hand at unearthing the treasures of the diamond mine in Arkansas. The largest diamond ever found here was just over 15 carats. Another great stop to add to your road trip activities. For less than $10 a day, an individual can purchase a day pass to the diamond mine in Arkansas, and spend the day searching the soil for their own diamonds. You'll probably find it helpful to bring a bucket and shovel to aid your search, but the park also has a full spectrum of equipment that you can rent for the day. 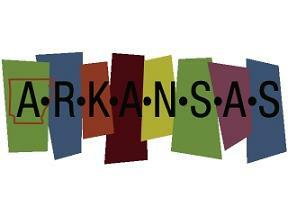 Another Arkansas treasure activity that families enjoy is geocaching in Arkansas State Parks. 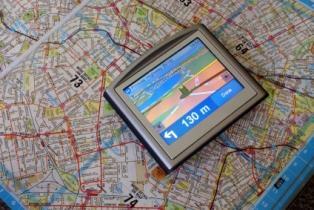 Using GPS locators, you and your family can join in on this global treasure hunt. Though geocaching does not yield big treasure you can take home with you, it is a great form of exercise and often requires the ability to decipher riddles and clues. If you have a budding Sherlock Holmes in your family, geocaching is a visit ideal way to spend the day honing your mystery solving skills. Another popular Arkansas treasure hunt activity involves searching for quartz crystals. Arkansas is home to many quartz mines where visitors can pay a small fee for the day, in exchange for the opportunity to dig for quartz crystals. Most of these mines are located near the Mount Ida area. Another great stop to add to your road trip activities. No Arkansas treasure hunt would be complete without an inquiry into lost treasure legends. Arkansas is the subject of many hidden treasure legends, including the tale of the Spanish conquistador treasure that some feel is hidden in the Ozark caves. Another popular Arkansas treasure hunt activity involves searching caves, woods, and caverns for the fabled hidden fortune of the Robin Hood-esque outlaw Jesse James. Finally, you and your family can round out your Arkansas treasure hunt by searching for hidden artifacts left behind by historic settlers at the Davidsonville Historic State Park. Archaeologists have been able to uncover lots of different items used in daily life by citizens who lived in Davidsonville, the first planned city in Arkansas. These artifacts are now on display as part of an archaeological exhibition at the park.